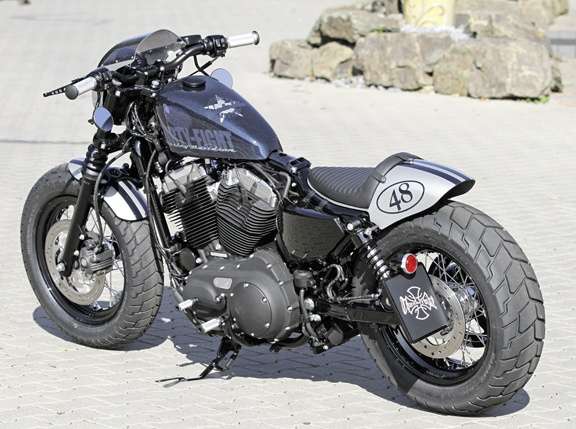 NOTE: only for 2004-up Sportster models. 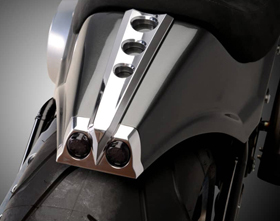 I am very interested in your cafe style rear fender kit for sportsters. Is there anyway I could look at any type of mounting photos or diagrams? I’m curious to see how it is installed. I already have shorted fender struts but I’d like a closer look. Thanks for anything you can provide! 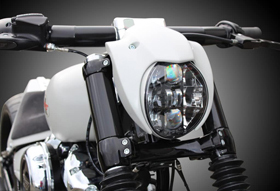 Thank you for your interest in Eurocomponents’ Cafe Racer Parts. 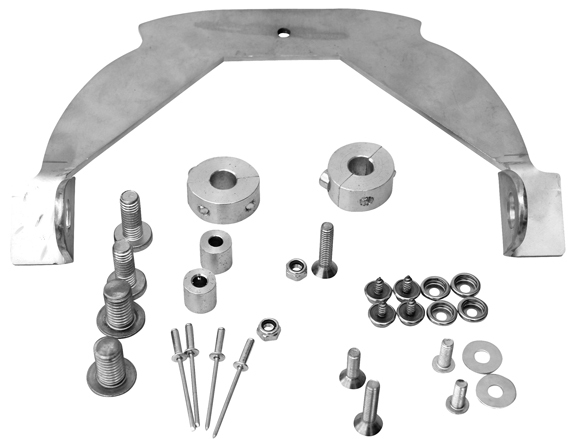 We will email you mounting instructions for the Café Racer Rear Fender Kit for Sportsters. 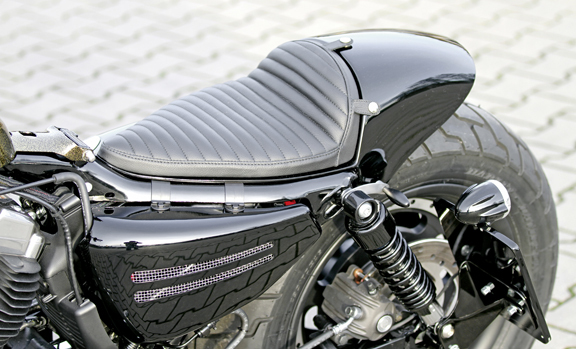 I am ready to buy your Café Racer Rear Fender Kit for Sportsters, but I have no idea of where to find someone that can build the seat. Any suggestion? You just need to find a local upholstery shop you like and take the seat base we provide with the kit to them. Select the seat cushioning and finish you prefer and they will build the seat for you.